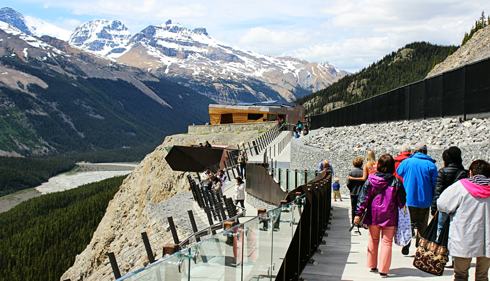 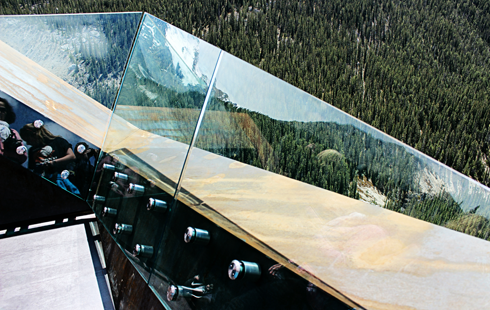 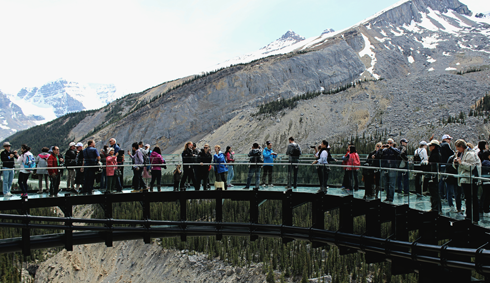 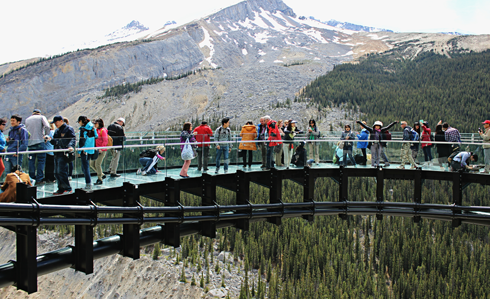 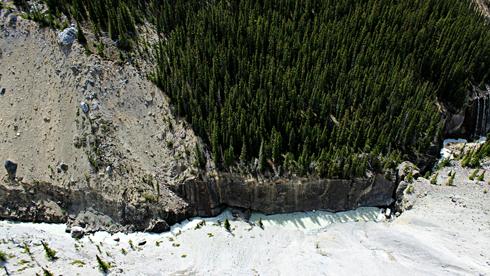 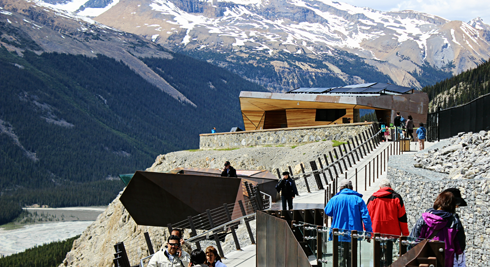 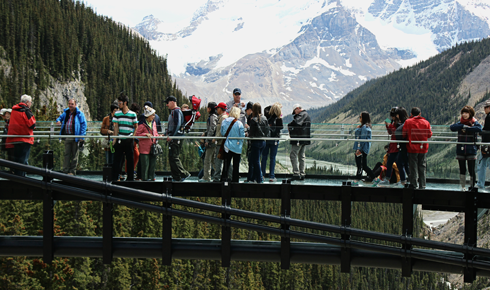 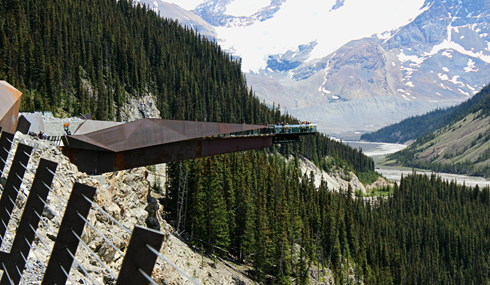 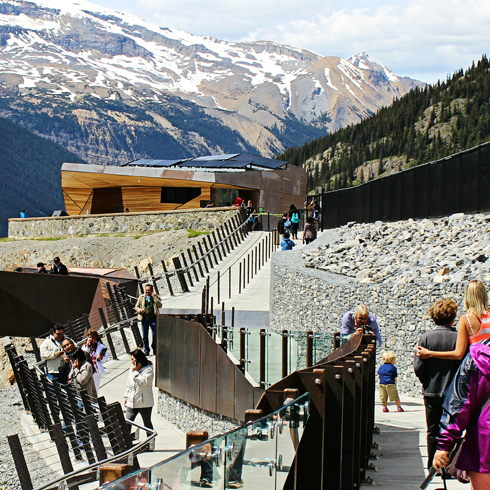 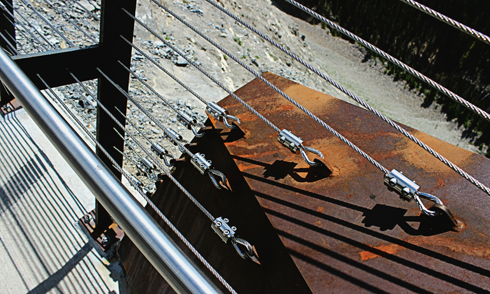 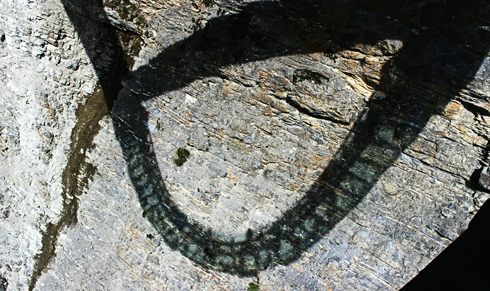 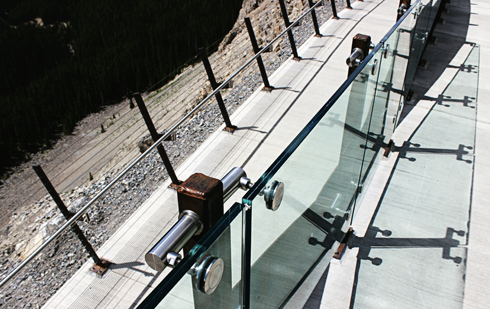 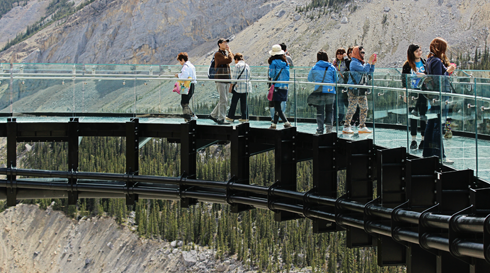 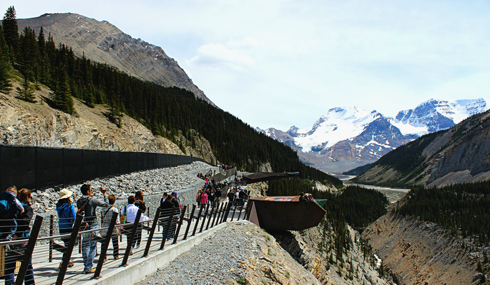 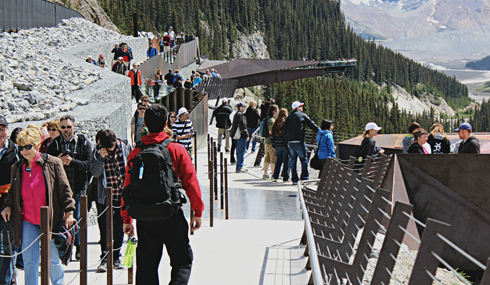 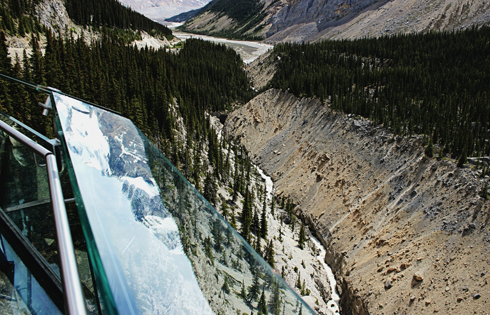 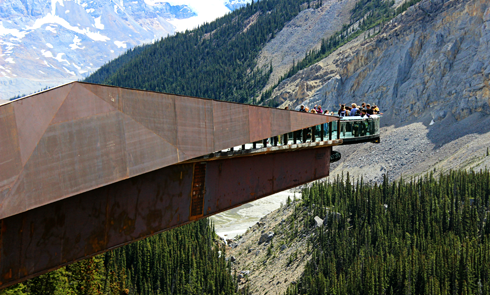 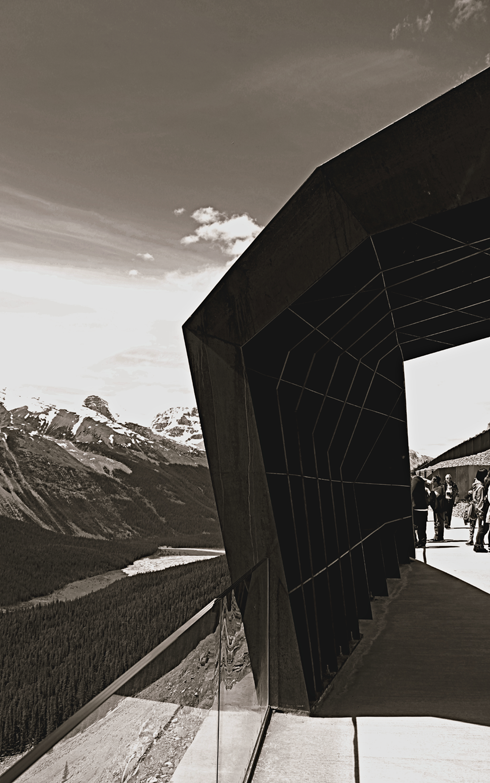 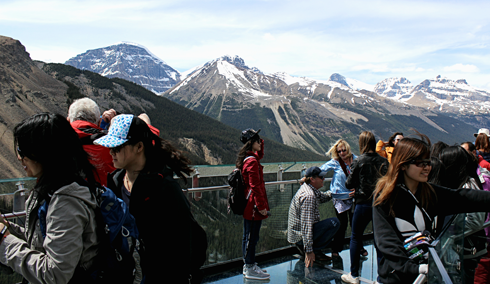 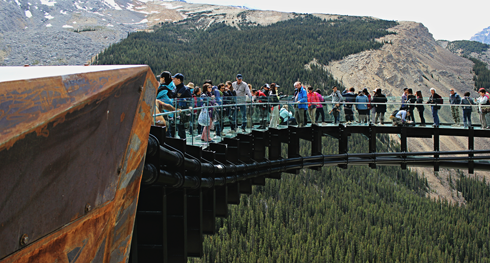 Opened in May 2014, the Glacier Skywalk in Jasper National Park is a glass observation walkway that extends 30 metres out from a cliff, roughly 300 metres above the Sunwapta Valley. 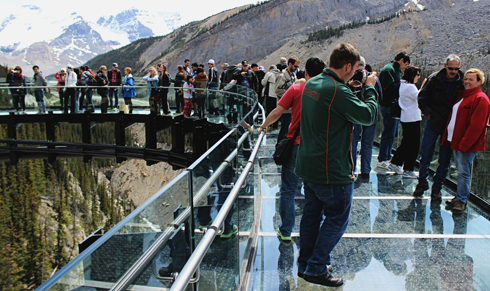 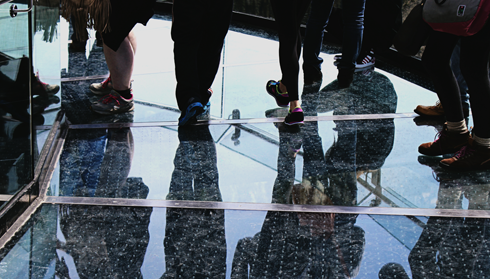 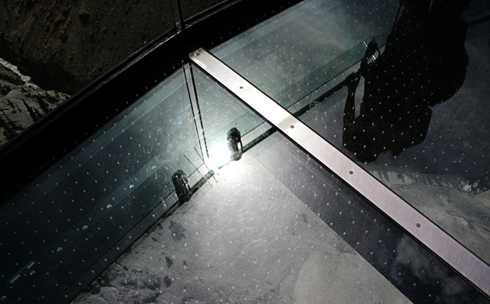 The glass floor provides a unique thrill as you take in the mountain views, but it's actually the subtle bounce of the skywalk as you walk across that really sells the experience. 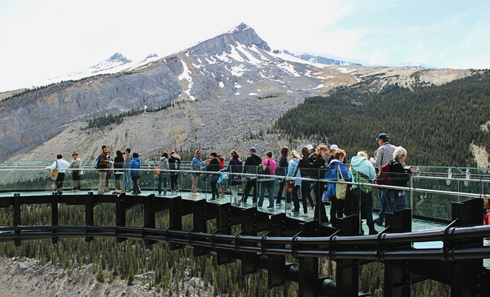 Of all the activities and sites I took in on my week long road trip through Alberta's Rocky Mountains, the Glacier Skywalk was certainly one of the most popular stops I made. 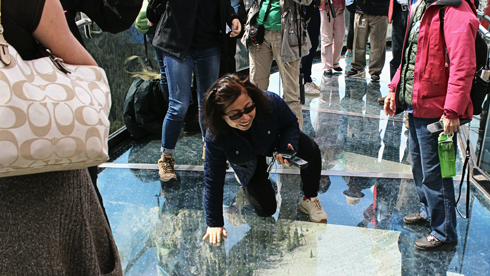 Despite the lines, it did provide a unique vantage of the incredible surroundings and it was a lot of fun seeing people psych themselves up to venture across the glass. 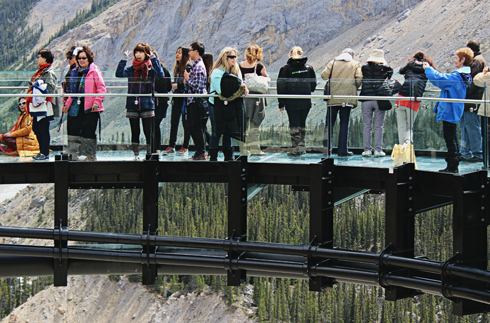 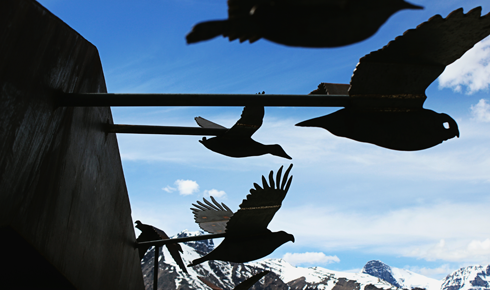 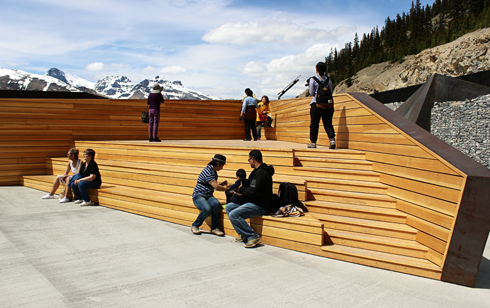 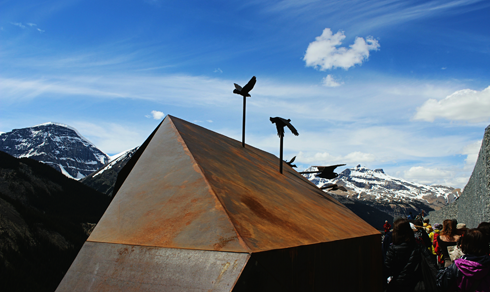 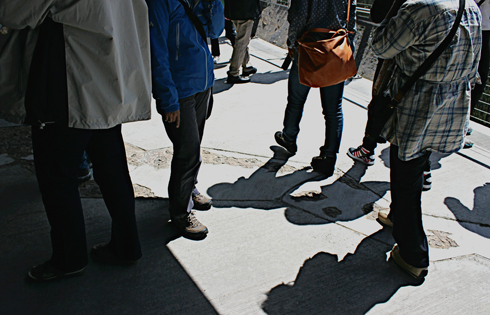 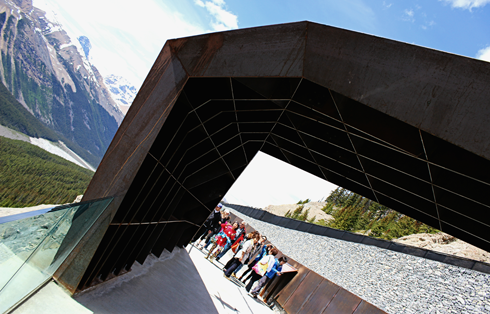 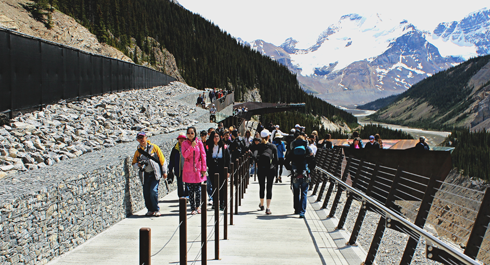 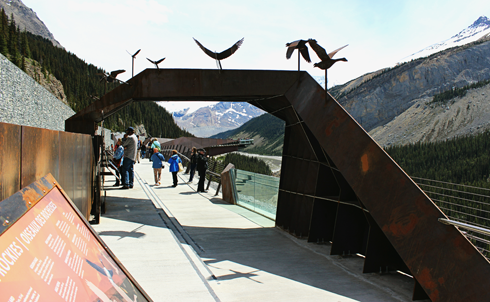 If you're feeling brave, buses for the Glacier Skywalk leave from the same building as the Columbia Icefield tours. 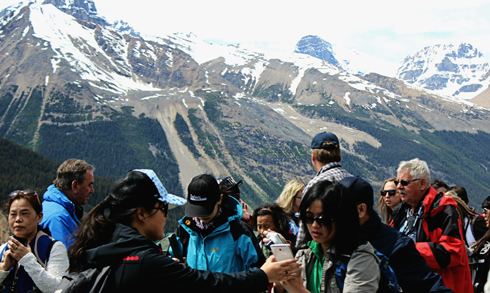 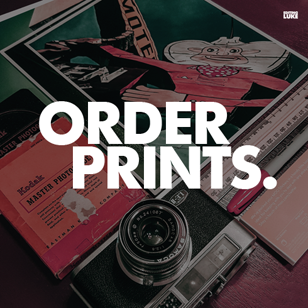 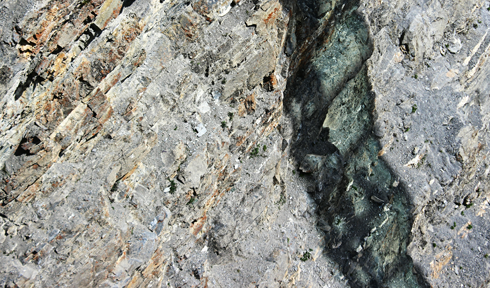 It's a really easy way get some memorable shots and experience some of the incredible scenery.